Yes you heard right Tide fans, the Alabama football program will be featured on 60 Minutes, but before you start getting upset, don’t worry it’s suppose to be a positive look at the program and Nick Saban. The show is doing a feature on college football to air later this year and 60 Minutes correspondent Armen Keteyian will be doing the piece. 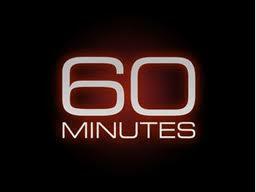 60 Minutes is known for their investigative reporting, so let’s just hope the reports are true that they are not going to do a job on Saban or the Alabama football program.